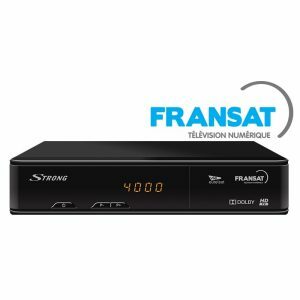 The Strong SRT-7405 HD Satellite Receiver is brand new and uses the latest technology be compatible with Fransat following the recent switchover to new services in 2016. Furthermore it is supplied with a brand new Fransat Viewing Card. The Fransat Card is valid for services on Atlantic Bird 5 Degrees West. With Fransat you get movies, sport, lifestyle, general entertainment, the arts, music, drama is covered with this package of channels. Fransat Requires a minimum dish size of 55cm facing Atlantic Bird at 5 Degrees west with universal LNB for reception in UK.